Kookaburra take cricket very seriously, the Blaze range of bats is just one example of how focused they are on making great cricket bats. 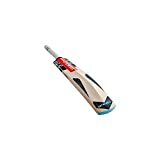 Our review of the Blaze 150 cricket bat from Kookaburra will give some of the best info on this low cost model of the Kookaburra Blaze cricket bat range, in case you are looking to buy one online. All of the Blaze range carry the same features which set out which type of batsman it might suit, so lets review these features of the Kookaburra Blaze 150 first, then we can move on to the specifics for the 150 model. The Blaze is billed as having a sweetspot in the middle of the bat, however it feels more low/middle than true middle. This is great for having a little forgiveness if you drive away low on the bat. The sweetspot on the Kookaburra Blaze 150 cricket bat is also quite large and you get a nice solid strike from a large section of the bat. Obviously this suits an all round player who can’t be totally accurate every time and allows for a good range of shots to be hit off the Kookaburra Blaze 150 cricket bat. All this concentration on a big forgiving sweetspot is supported by review the other features of the Kookaburra Blaze 150, such as the spine, the nice scallops which support it, the big edges etc. Combine all of this with the solid handle construction and you’ve got a nice solid bat for an all-rounder who is happy to have a swing around searching for runs from the middle order. 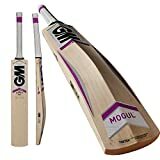 What I really like to review about the Kookaburra Blaze 150 is the rounded face and how it allows you to catch shots that roll off to the cricket field behind you, and the slight curve in the lower part of this cricket bat can help get some height and length out of shots straight down the field. So what’s the deal with the Blaze 150, what don’t you get that you would for twice the price with a higher model? It’s all about the wood quality. The Kookaburra Blaze 150 cricket bat is English Willow, however the fact they don’t publish which grade and judging by the grain of the bat with used to review it, I would say it’s Grade 4 or 5 Willow. Well it will need more oil to keep it durable for longer. The Blaze 150 might not be quite as hard hitting as a more expensive version. It will be obvious from the aesthetics too, as you will see knots and grain marks that you wouldn’t if you buy a more expensive Kookaburra Cricket bat. Is that a big deal? Well there is the question for you and your budget. Overall, my review of the Kookaburra Blaze 150 cricket bat is that it is a great buy for a All Rounder batting on Sunday’s and in training from the middle order. It offers it’s owner a great range of shots, all held nice a true by the big central to low sweetspot. Kookaburra love cricket and if you buy a Blaze 150, you will love Kookaburra.